online, by mail or by phone. Raise Money. Keep More of Your Donations. Bluewater offers guaranteed low rates and can provide you with everything that you need to accept donations on your website, through the mail or by phone. Our credit card processing service is built upon 25 years of nonprofit fundraising and donations processing experience. Interchange plus discount rates available for qualified organizations. Applying for a merchant account is fast and easy. There is never a cost to apply for an account and you are under no obligation to continue. Your account can be set-up to begin accepting donations in as little as 48 hours. We believe you should only pay for the services that you use. There are no minimum volume requirements with your account. We offer you maximum flexibility. 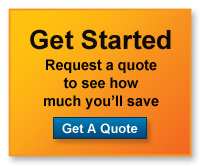 We’re so confident that you’ll like our service and pricing that we don’t require a long term commitment. There’s never a fee to cancel your account. Our knowledgeable and experienced staff is here to help. We’re just a toll-free phone call or email away, and ready to solve any issues you may have. Get the information you need when you need it. Our reporting tools help you easily track and reconcile the credit card donations received by your organization with the deposits made to your bank account. We make it easy for supporters to donate to your organization with their favorite credit or debit card. Your merchant account gives you the choice to accept Visa, MasterCard, Discover, American Express and more. All at low rates that let you keep more of your donations. To accept credit card donations by mail, phone or online, you will need a payment gateway that integrates with your merchant account. A payment gateway allows you to securely key in mail or phone donations through an online virtual terminal and process donations through your website. If you currently accept donations on your website, we can help you set up your new merchant account with your existing payment gateway. Learning Center Learn more about accepting credit cards for donations or sales. *Rates apply to qualified transactions for Visa, MasterCard and Discover. Bluewater Nonprofit Solutions offers credit card processing solutions through a partnership with Priority Payment Systems, a registered ISO/MSP/TPP of Wells Fargo Bank NA, Walnut Creek, CA.